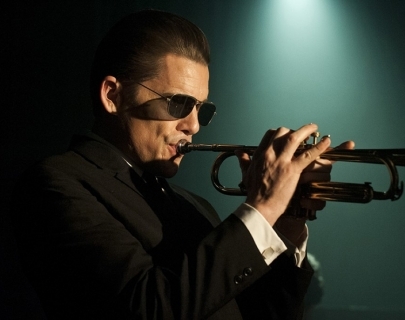 In this unconventional biopic Ethan Hawke gives an extraordinary performance as legendary trumpeter Chet Baker, the ‘James Dean of jazz’. In the 1950s, Baker was one of the most famous trumpeters in the world, renowned as both a pioneer of the West Coast jazz scene and an icon of melancholic cool with a languorous mystique. But by the 1960s, his career and personal life were in shambles following years of a profound heroin addiction. Creatively blending fact with fiction and driven by Hawke’s tender, virtuoso performance the film unfolds with all the improvisatory genius and stylistic brio of great jazz.